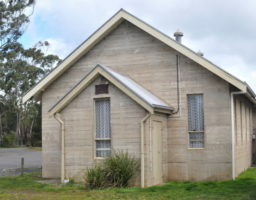 Description of Venue: Situated on the Ballarat-Colac Road, Dereel sprung to life as a town during the goldrush era, and there are still many mine shafts scattered throughout the landscape. Swamp Rd, the location of the Soldiers Memorial Hall, is named after the large wetlands area, referred to as the "Swamp" or "Lagoon". 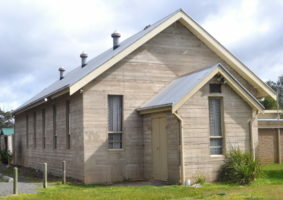 The hall was built on 1919 and is the centrepiece of the town. 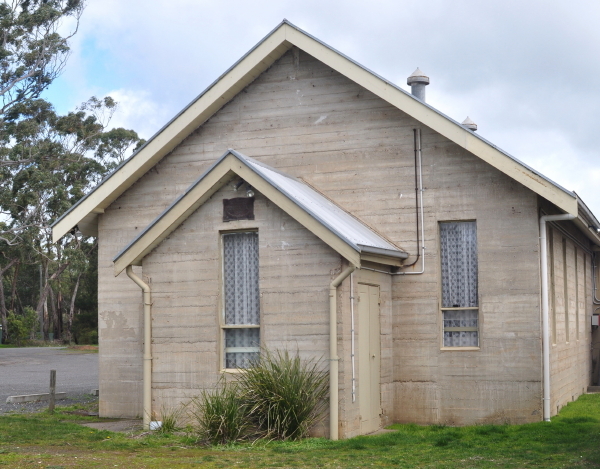 A wide range of events are held at the more recently built community centre which are organised by the district nurse who visits twice a week including craft projects, walking groups, meditation, guest speakers and community breakfasts. Line dancing is also held on Friday nights. 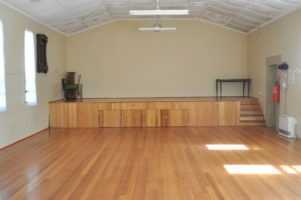 Private functions suitable for the main hall include weddings, birthday parties, anniversaries, reunions and fundraisers. 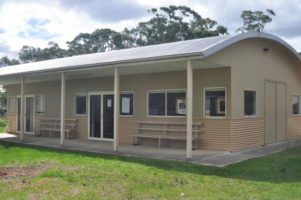 A noticeboard in the front ground of the hall advertises upcoming activities. The open style, clean, modern kitchen includes 2 fridges, large stove/oven, 2 urns, microwave, double sink, crockery and cutlery for 100, pots and pans, electric frypans and instant hot water. 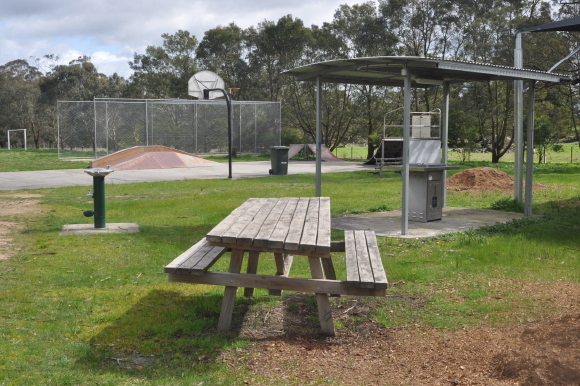 There is ample bench space for the preparation and serving of food. 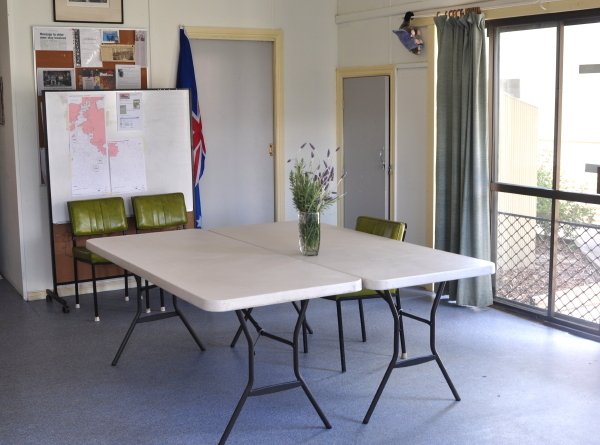 The hall, meeting room and community centre are all currently warmed with gas heaters and ceiling fans circulate the air in summer. 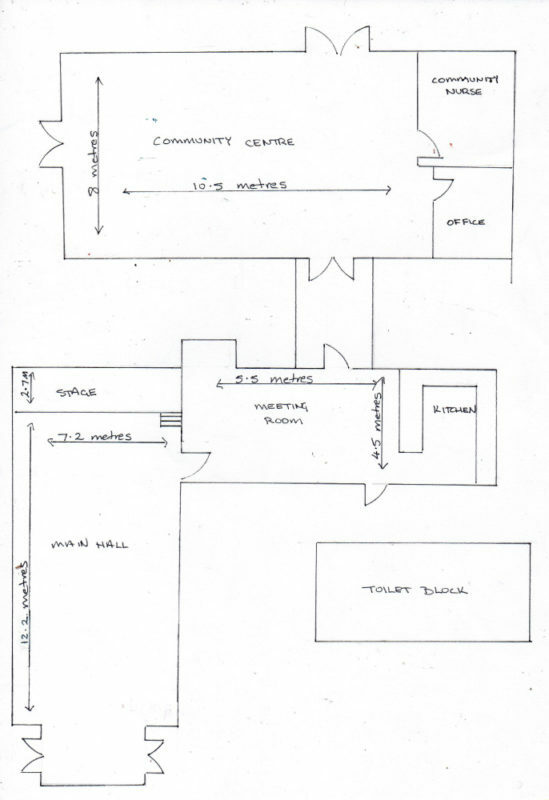 the committee is currently working toward installing split system heating and air conditioning. 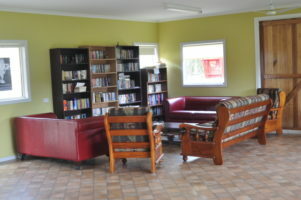 The community centre also features a library where readers can swap their books for other books, and where book club groups can meet to read or discuss books they are reading. 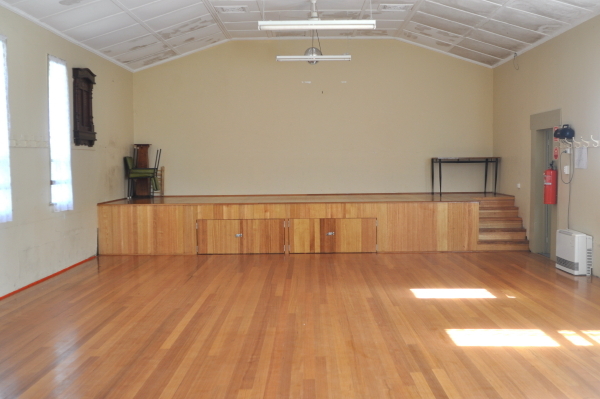 As well as indoor facilities the hall also has a large outdoor area featuring free electric BBQs, picnic tables, a playground and skatepark. All of these facilities are open to the public at all times. There is ample offstreet parking for 100+ cars. Types of events which are run/held: A wide range of community events are held organised by the district nurse who visits twice a week including craft projects, walking groups, meditation, guest speakers and community breakfasts. Line dancing is also held on Friday nights. Private functions include weddings, birthday parties, anniversaries, reunions and fundraisers. 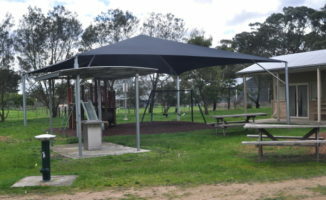 Outdoor facilities, including free electric BBQs, picnic tables, a playground and skatepark are open to the public at all times. 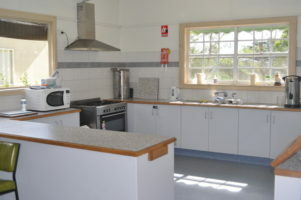 Kitchen: The open style, clean, modern kitchen includes 2 fridges, large stove/oven, 2 urns, microwave, double sink, crockery and cutlery for 100, pots and pans, electric frypans and instant hot water. There is ample bench space for the preparation and serving of food.